This book is divided into three sections: Start Simple, Build on it, and Take it Further. These chapters are carefully structured to hep you learn new skills and techniques and then practise your increasing knowledge by completing the step-by-step projects. 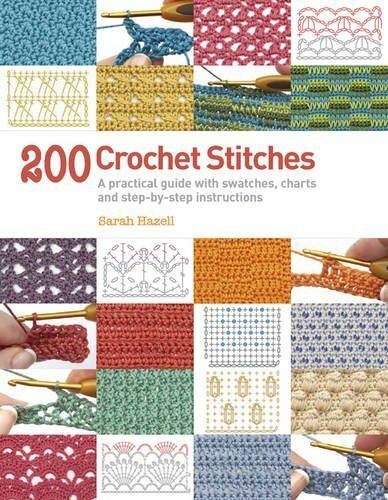 In this chapter, you will find out how to work all the basic crochet stitches and some easy stitch variations. This chapter includes 14 key techniques and 5 projects to try. 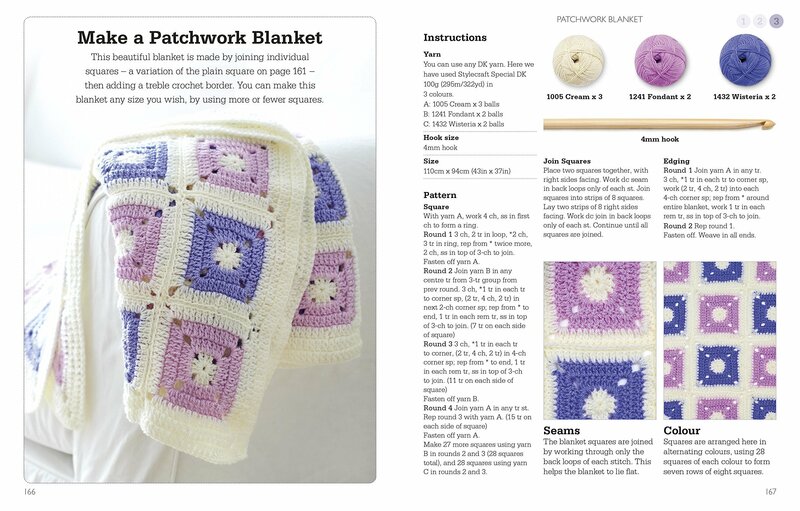 In the second chapter, is time to work in the round and discover how to shape your crochet fabric. You will also learn how to combine stitches to crate textures. This chapter includes 12 key techniques, 1 stitch galleries and 9 projects to try. 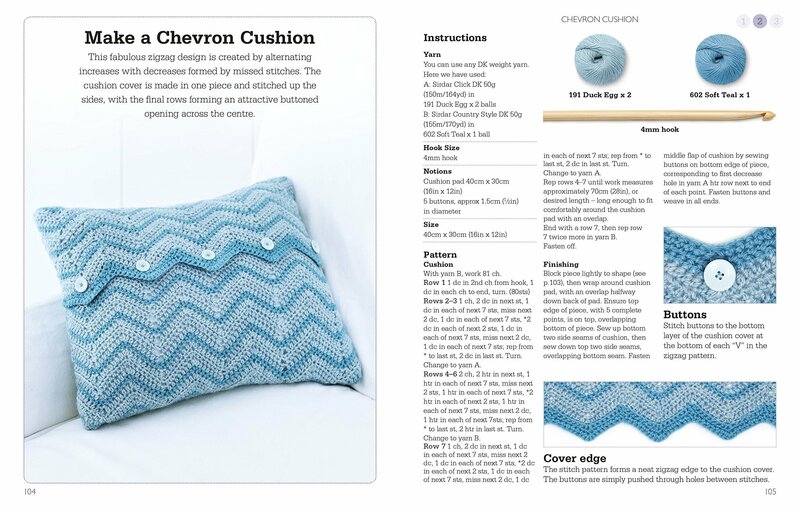 In this chapter, you will learn to move beyond stripes with advanced colour work techniques like jacquard and intarsia method. You also will learn some clever new shaping skills. This chapter includes 7 key techniques, 5 stitch galleries and 9 projects to try. 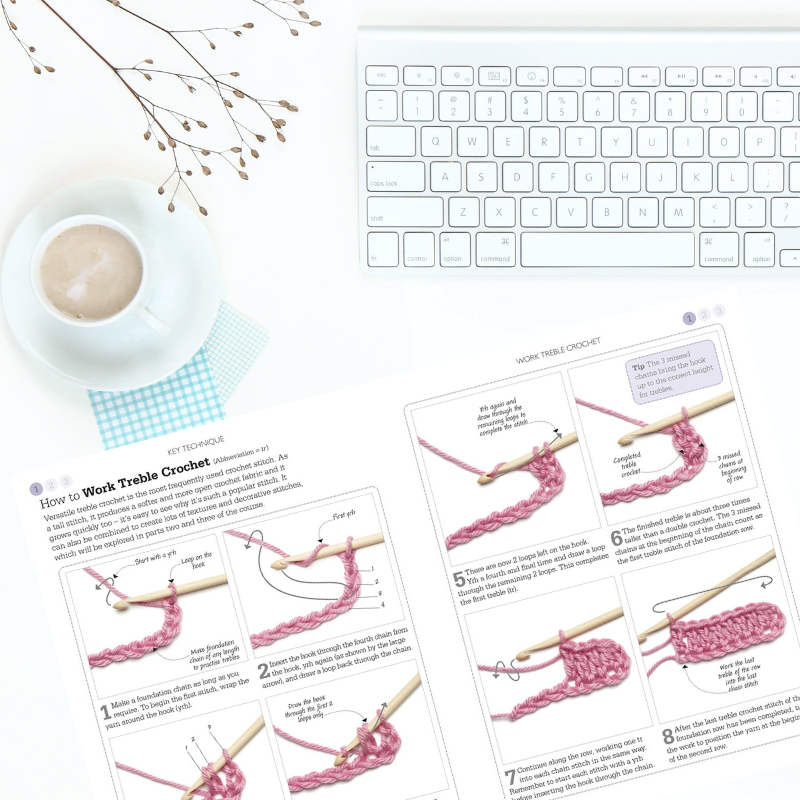 A Little Course in Crochet is part of the popular series of learning guides from DK that explain everything you need to know to learn something new. This book takes you from complete beginner to being able to make beautiful crochet projects. 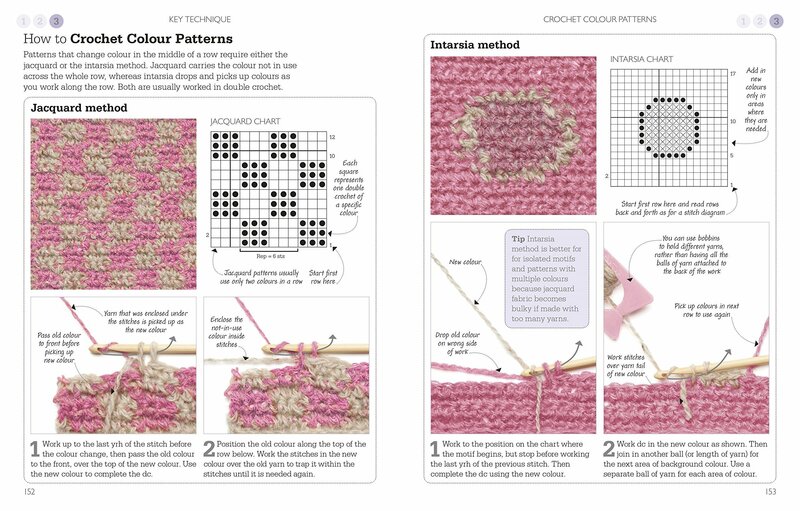 Start simple with basic crochet stitches, including simple variations and textures. The step-by-step pictures show you what other courses only tell you and you can learn by doing with 23 crochet projects that help to build your confidence. 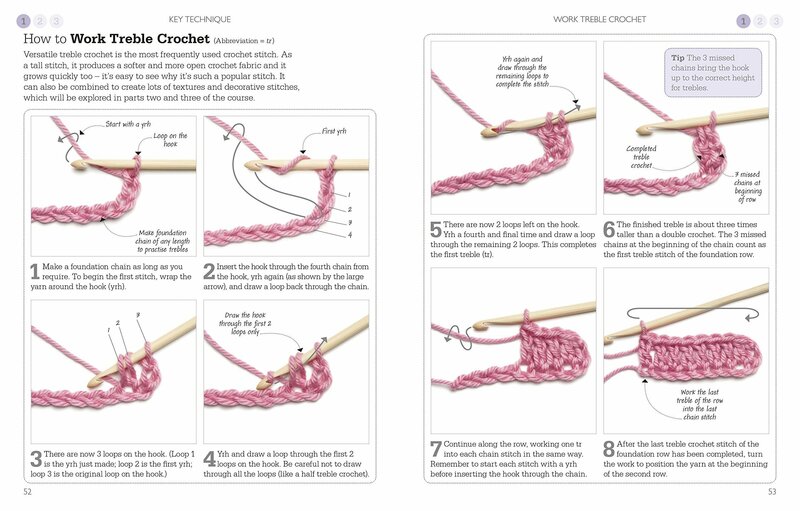 What I like most about this book is that it includes crochet diagrams and its simplicity.